Founder Dropouts. A case for Innovation Leadership. Lets face it many gifted, creative, exceptional people generally have issues with authority. The act of innovation, generally requires one to take a stance that rejects the way things are, in favor of the way things could be. Do you see this pattern in yourself? Many of our greatest founders are dropouts. In a conversation, I had with Craig Venter the father of the Human Genome Project, he told me he had to quit working for the NIH ,where he was unable to get adequate support for the project to proceed and was forced to become an entrepreneur. I asked him if great change or breakthroughs ever came from within giant organizations, and he said something like “Never, you have to drop out of the mainstream to make anything big happen”. He was of course spectacularly successful and listed on Time magazine’s 2007 and 2008 Time 100 list of the most influential people in the world. In 2010, the British magazine New Statesman listed Craig Venter at 14th in the list of The World’s 50 Most Influential Figures 2010. We all know stories like this including Apple, Google and FaceBook to name a few of the smaller companies on the planet. Of course there are probably 10,000 failures for each of these successes. Dropping out is certainly no guarantee of getting anywhere and usually does not. But if you have a great idea, perform due diligence to reality test it, use your critical thinking skills and work hard to accumulate enough evidence that you may be right while the rest of the world may be wrong, you eventually have to go for it even in the face of hidden pitfalls. Here is one of them. Innovation has become a buzzword mantra in spite of most professional business people trying to eliminate risk as they are duty bound to pursue. A logical stance is “well we have to mange these people and this situation”. As the founder chairman of SVII for ten years I have been asked, initially to my amazement, hundreds of times “what is the algorithm for innovation?” Managing innovation is incredibly difficult because managing innovators is pretty much impossible. In the case of incremental, it can be done but in disruptive innovation where juicy exciting projects live, it is somewhat oxymoronic. On the other hand, another word for some of us who are regarded as unmanageable, and that word is leader. It may be a mostly impossible dream to manage breakthrough innovation, but at times the person with insight, also has both enough passion and enough discipline to lead it. Lets face it, one person size dreams may work well for some of the creative community, including artists, musicians, writers and coders of computer applications as well. After we hit it out of the park successfully manifesting our one person size dream, our dreams tend to grow larger and soon we realize we need help, a lot of help. Then because we may have had a hard time accepting authority, we may be reluctant to wield it to the dismay of the people who are trying to follow us. Leadership is a service profession. You have to take care of all of your stakeholders including your followers. The bigger the dream, the more you generally need help. Sorry, you do not have a choice, as soon as you have a terrific insight that is going to require significant help, you are going to have to lead. Being an innovation leader is extremely rewarding, as well as extremely frustrating, because you know what was said earlier about gifted, creative, exceptional people who generally have issues with authority. However you have a secret weapon, you are them! You know what they need and how they need to be treated. There is no one more qualified to lead innovation, than an innovator. And this is when the dropout becomes a drop-in. The complex choreography between innovators and technology gives rise to many different types of dances. At times engineers invent what they would like to have, without inquiring into the needs of customers. As the story goes Henry Ford once said said “if I asked them what they wanted, they would have said a faster horse”. Many technology driven enterprises over the years have adopted this stance on the product development dance floor and to great effect, both good and bad. For example, it is doubtful that Steve Jobs ever asked the world if it wanted a retinal display, an iPhone or much else. On the other hand, Video Cassette Recorders designers did not realize that almost no one would be willing to program the VCR system clock, which resulted for years, in a usually red flashing 12:00 in hundreds of millions of homes. When engineers design consumer electronics products, it is never the goal to make everyone who uses them feel stupid, yet this does happen too frequently. The same could also be said for many of our online interactions. We have to gird our loins before beginning some routine tasks that we suspect are going to take an hour instead of a minute. Some of the time things work really well. This should be the rule not the exception. For all of us, it feels terrible when machines undermine our self esteem. In recent years we have been told that product development has become market driven. Based on the number of brain dead products we all have to deal with, one might assume there is a very large market for self esteem damaging equipment. As computer processors are now found in everything, from cars to thermostats, humans have learned to adapt to the demands of their gear. This is surprising in that digital systems inherently have a great ability to adapt to our needs. Somehow, it is now the end user doing the adapting to the technology instead of the other way around. As a technical person myself, I find it crazy that in many situations, people have become slaves and somehow made machines masters. 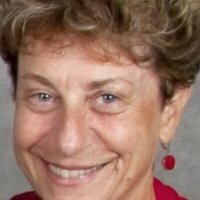 How many people experience incredible frustration when trying to use phones, computers and other consumer electronic devices? The time is overdue, to Flip the Master Slave Relationship between technology and people. As SVII enters our tenth year of helping Innovation Advocates at all levels, from the largest entities in the world to solo emerging startup entrepreneurs, to “Turn Vision into Value”, it is time to resurface some of the more important themes we have been addressing from the very beginning. This is a call to all innovators, to try harder to make sure, while we are in the process of inventing tomorrow’s systems, to prevent these products from making customers feel stupid. Yes this takes extra effort to put oneself in the place of others, and some of you may say “this is too hard, too time consuming and too costly” and “our competitors do not care because that is just the way things are”. Let me present exhibit A for Apple. One of the reasons Apple has become the most valuable company in the world, is Apple and other successful companies try harder to make it much easier to use their products. This philosophical stance is what Apple’s imitators should be copying not only specs and designs. Delivering this additional value can take longer, but isn’t it silly for us to have to adapt to the devices and systems we are creating? Are innovations in the food industry as healthy as we think it is? 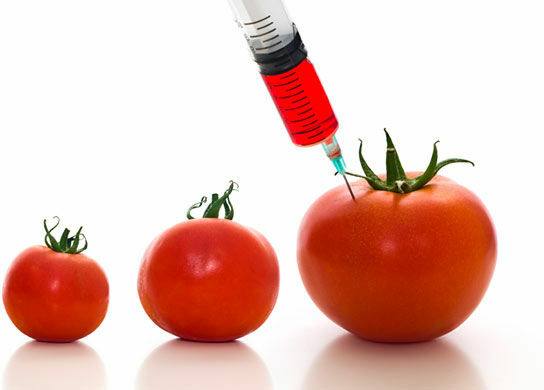 Are GMO’s as bad as many believe them to be? This roundtable with discuss the pros and cons of the innovation occurring in the food industry. This month, SVII is taking on a topic that is literally close to our hearts. Very close in fact: our stomachs. We all eat. Some of us eat to live, and others of us live to eat. Then, there are those who make their living from food production, preparation, alteration, transportation and distribution. At this month’s roundtable discussion, we will be acknowledging a healthy (and maybe not so healthy) variety of perspectives on innovations in food. Today, the average consumer has an enormous number of choices regarding food. Eating out, take-out, cooking for yourself, growing your own food, getting it from far away, local, organic, exotic, in season and more. How are we to decide what to choose? There are few domains with so many options as food. To top that, we also hear very contradictory advice about food. The number and types of diets espoused every year continues to go up and there does not appear to be much convergence in sight. Then again, how much is health and longevity a function of diet or genetics or environment? In any case, food is something we should be better informed about and true to form, SVII is hosting a roundtable discussion with (as you would expect) more than one (or two) point(s) of view. So come join us for another lively and at times provocative roundtable discussion! 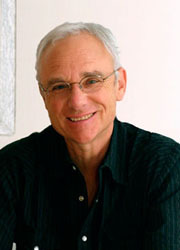 Dr. Ed Bauman has been a pioneer in the field of holistic nutrition for over 35 years. His vision and leadership have inspired thousands of people to transform their lives in the form of wellness, community, and peace. He received his M.Ed. from the University of Massachusetts, and a Ph.D. in Health Promotion from the University of New Mexico. Dr. Ed Bauman created the Eating for Health model to teach individuals to make nutritionally comprehensive food choices and founded Bauman College in 1989, with a mission to change the world through better nutrition and healthful living. He is a special advisor for the National Association of Nutrition Professionals and brings a wealth of knowledge, wisdom, and a love of good health and good taste to his work. Alan received his MBA in Foodservice Management with an emphasis in Public Administration at Adelphi University in Garden City, New York. After attending the Culinary Institute of American in Hyde Park, New York, he completed an apprenticeship at the Hotel Schweizerhof in Bern, Switzerland. While teaching Culinary Arts at Laney College, he produced and performed in an acclaimed TV cooking series. 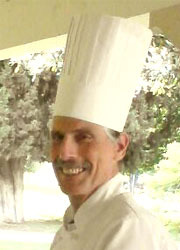 Mr. Finkelstein came to San José State University as Executive Chef to oversee the food operations of Spartan Shops, Inc and served in that capacity for seven years. He teaches hospitality and cooking laboratories at SJSU and supervises the student-run First Class Dining Room on campus. KATHRYN P. SUCHER, Sc.D., R.D.N. Dr. Sucher received her Sc.D. from Boston University Medical Center in Nutritional Science. 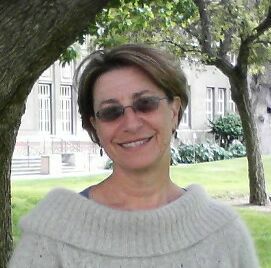 She has held several positions in industry before coming to San José State University. 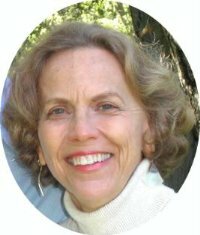 She is a recognized authority on how diet, health, and disease are affected by culture/ethnicity and religion. Dr. Sucher has published newsletters, numerous articles, and textbooks on this subject. 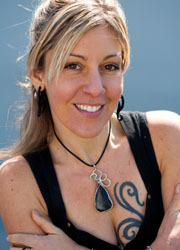 Her latest textbook is Food and Culture, 4th edition (2004), published by Wadsworth. Other research interests include medical nutrition therapy. Note: Every month, it is our express desire to bring to you topics of interest, with a conversation started by a variety of subject matter experts. This interactive forum also counts on other attendees bringing up their perspectives as well, and not just a five minute question and answer session at the end. As always, our goal is to set the stage for a balanced interactive roundtable discussion. Although we seed the discussion with subject matter experts, the audience is also comprised of subject matter experts whose expertise lie in a larger range of topics. And it is within this cross fertilization of intelligent communication people that innovation can often occur. Change often originates from perspectives proffered from outside a field. We strongly encourage additional questions and points of view from everyone in the room.